Every bride wants to be extra beautiful on her special day. She plans to precision every little nitty gritty about the dress, she searches for the perfect venue, the best catering service, and the just right music and design. The wedding cake is the centerpiece, and what binds and combines all these into one sound theme of colors and ideas that correspond with each other. The wedding cake is usually placed at the entrance to the venue, and is the first impression the guests get upon entering the event. After the bride and groom my wedding cake is the star and center of attention, hence I ensure every little detail has been carefully taken care of. Typically, the ordering process kicks off a few months before the wedding. I meet with the bride or with the couple and find out all the necessary details: where will the wedding take place, what will it look like: vintage, classic, modern? What does the couple prefer: edible hand-crafted flowers or lace, or would they like real flowers? Do they fancy bride and groom figures they can keep as a memento? 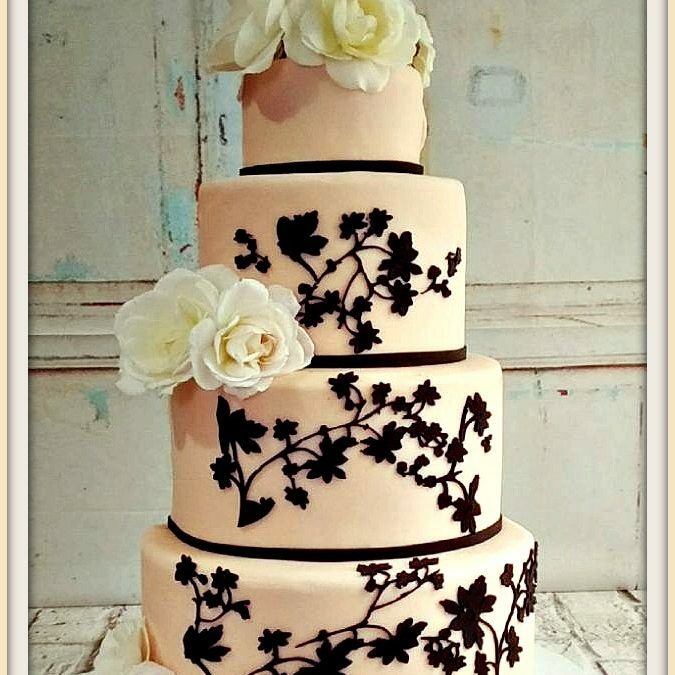 Should the cake decoration look like the invitation, the bride’s dress or maybe like the bouquet? Anything is possible! 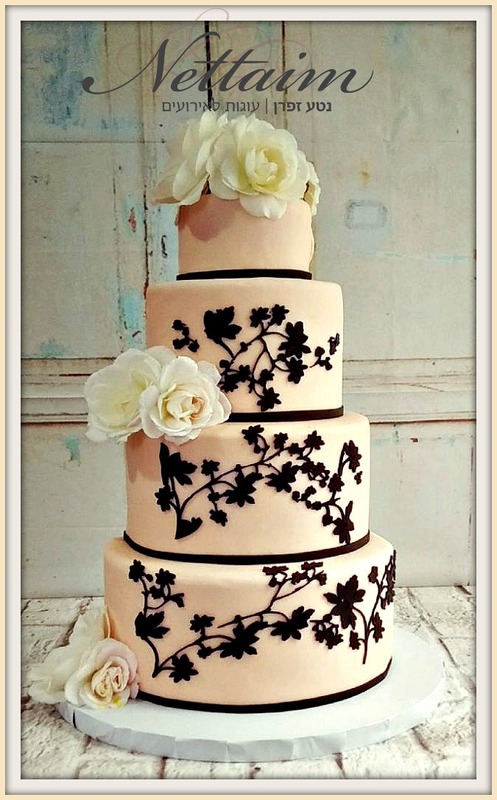 A wedding cake is usually made of multiple tiers. Each tier consists of fore layers of cake and four layers of cream which are then covered with fondant. The latest trend in wedding cakes is naked cakes decorated with flowers, either edible or real, or with berries and without the fondant covering. I cater to any cake wish, and love challenges. You can choose any flavor color, height, size, design and decoration. Planning a wedding in Israel? Tell me about your dream cake and I will make it come true.